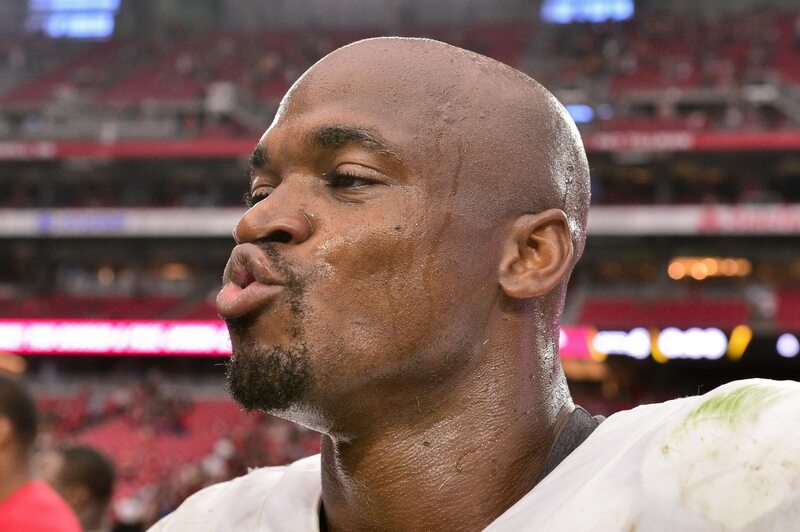 After recording a total of 166 yards and scoring one touchdown in his Redskins debut, Peterson has earned the right to dish some trash talk back to Carter. That would come in the form of an handshake should Peterson ever meet up with Carter. Peterson continued with his thoughts on Carter’s comment, which he said he takes personally because Carter is also a long-time Viking. This is a good strategy that Peterson plans to exercise. Fortunately, Peterson proved Carter wrong when he delivered quite the impressive performance, helping the Redskins completely romp the Arizona Cardinals, 24-6. Though, we can see why Carter may have been hesitant about Peterson after his disastrous performance with the New Orleans Saints and above-mentioned Cardinals last season. For now, Peterson looks to be the real deal while Carter should be eating some major crow.